Summery Beach Brush Pack - Free Photoshop Brushes at Brusheezy! It's time to hit the beach this summer and start playin' in the sand! With this new Summery Beach Brush Pack, you can enjoy the best of the hot season right in your own home. 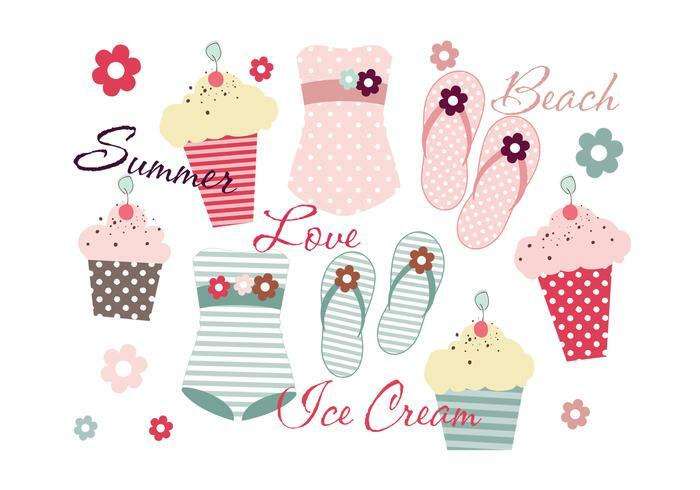 Included in this pack are 15 good looking cupcake, swimsuit, and summery text brushes. Head over to Vecteezy for the vector version and download the <a href="http://www.vecteezy.com/Holiday-Seasonal/32629-Summery-Beach-Vector-Pack/premium">Summery Beach Vector Pack</a>!